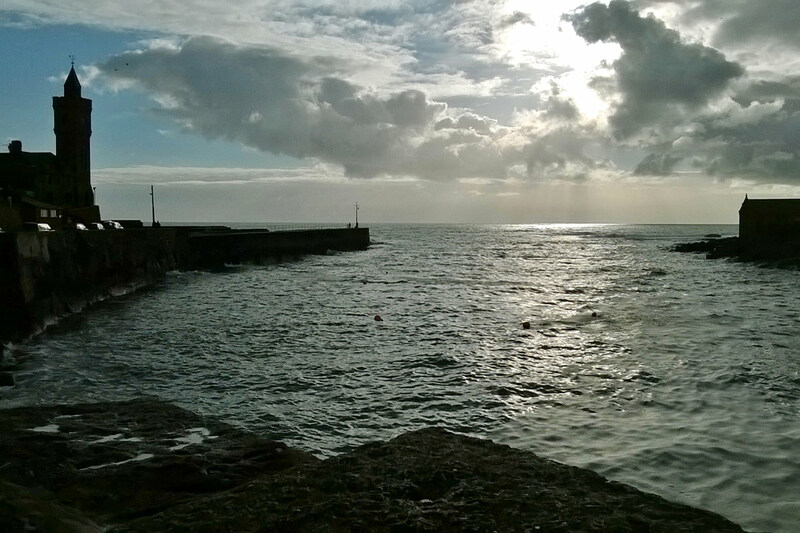 This course is an opportunity to work in a small group (7 max) in the Old Lifeboat House, in Porthleven, Cornwall, dramatically positioned on the edge of the harbour, facing the open sea. 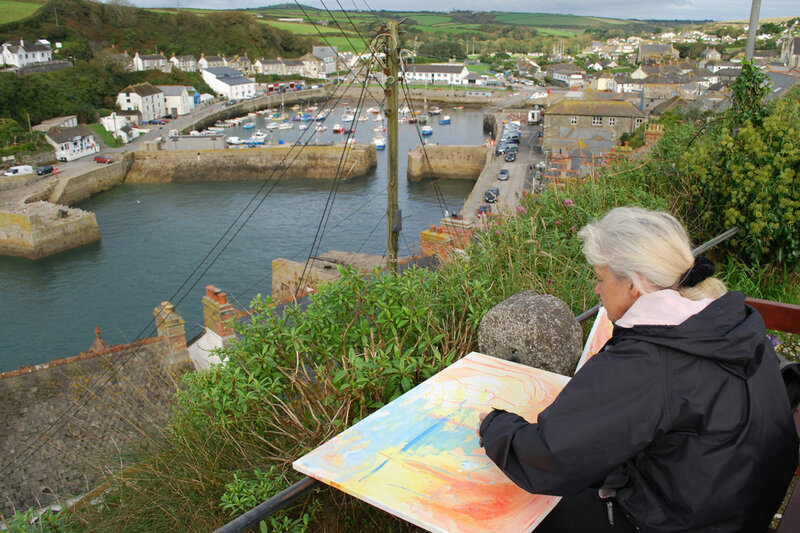 Unique to the Porthleven courses, artists work towards a one-day exhibition on the final day. The course begins with drawing exercises around the harbour, collecting information and ideas for paintings. During the week, there will be a mixture of group exercises, demonstrations and discussions to help artists engage with their paintings and take it somewhere new. Colour, mark-making, space and composition are all areas that will be explored and there will be plenty of opportunity for one to one tuition and mentoring with Ashley. 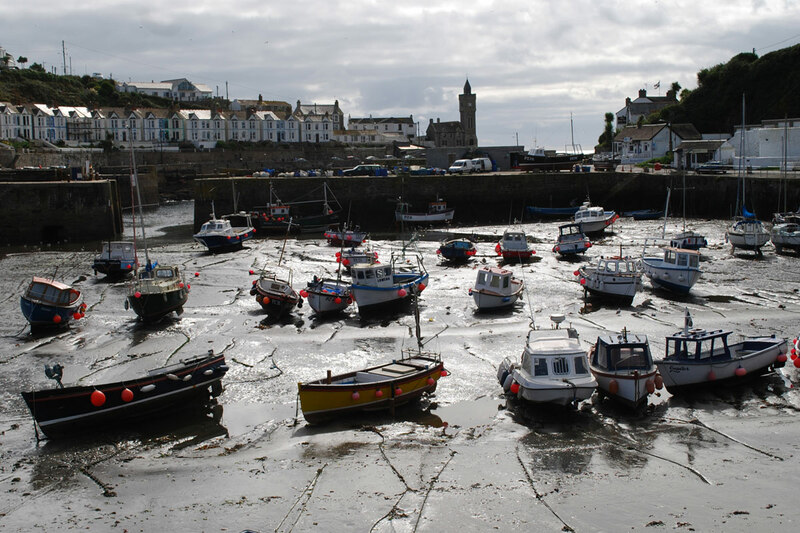 As part of the course and his teaching, Ashley will be working on a new Porthleven painting. With this longer course, a day is put aside for visiting galleries and seeing the best of the current exhibitions in Cornwall. The course is designed for painters who wish to enhance their creativity and look towards abstraction and beyond the representational. Ashley looks forward to sharing his wide knowledge and passion for colour and landscape with the group. Artists can either bring their own materials or for a £50 supplement, we can supply a multi-pack of Rowney oils or acrylics, mediums, two canvases 50x40cms, all drawing materials and use of brushes and palette knives. 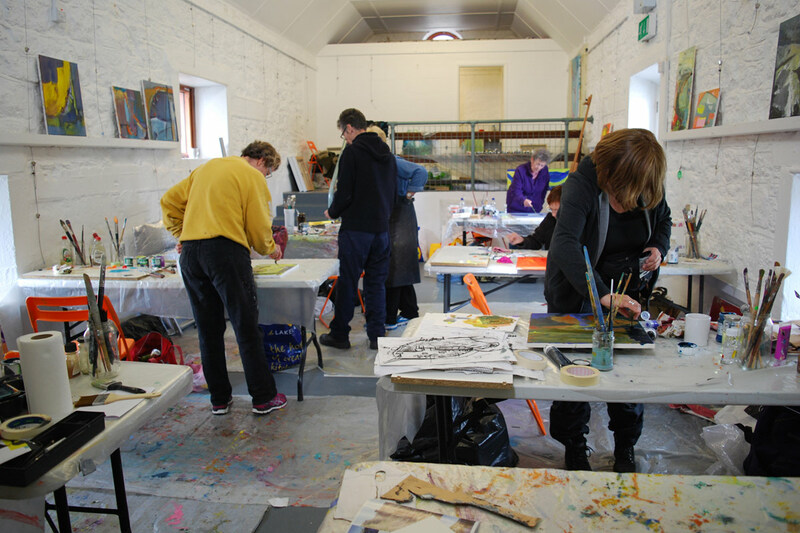 The Studio has a large table for each artist but if participants prefer to work on an easel or table-easel, please bring your own. A recommended list of materials will be sent in advance of the course. Porthleven is in the far west of Cornwall, near to Helston. If travelling by car, the best route is the A30 from Exeter, and then the B3303 from Cambourne. The nearest train stations are Penzance with bus connections to Porthleven or Cambourne where it is best to take a taxi. View map here. 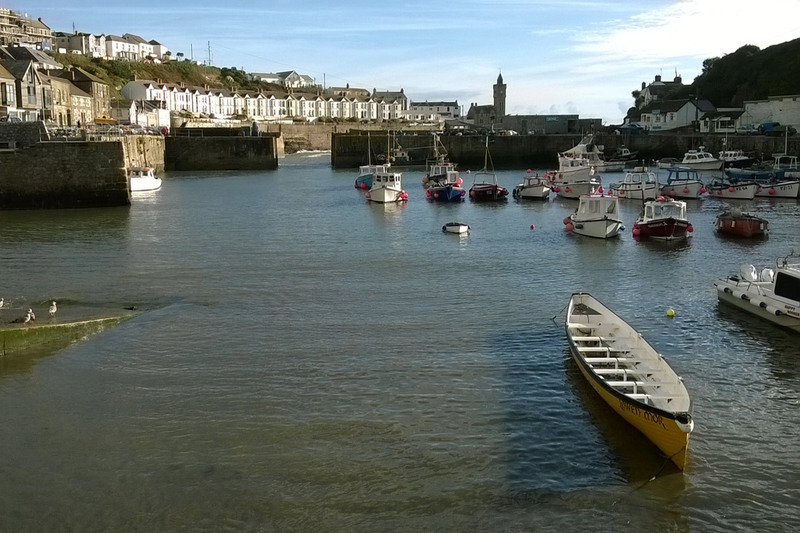 There are plenty of options for Cottage rental or Bed and Breakfast accommodation in Porthleven. Porthleven Holiday Cottages offer a 10% discount on their cottages and at the Artist Loft B&B, to artists booked on the course.. If you are looking to share we can put you in touch with the other artists in the group. You can make a booking by clicking on the Book Now link above or by calling Ashley on 01208 77656 or 07534 043845. Please complete the booking form and send a £100 deposit at time of booking, followed by the balance to be received before Saturday 27 July 2019. If you prefer you can send full payment at the time of booking. Please note we need a minimum number people for this course to go ahead. If for any reason we do not meet the required number of people, then your payment will be refunded in full. Otherwise, please note the course fee is non-refundable. If we are oversubscribed, we'll put you on the waiting list. We reserve the right to cancel the course due to unforeseen circumstance; all monies received will be refunded. Ashley Hanson Art is not liable for any travel or accommodation costs. We strongly recommend you take out travel insurance in the event of illness or cancellation.